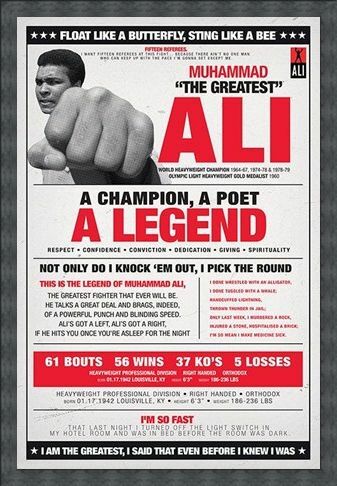 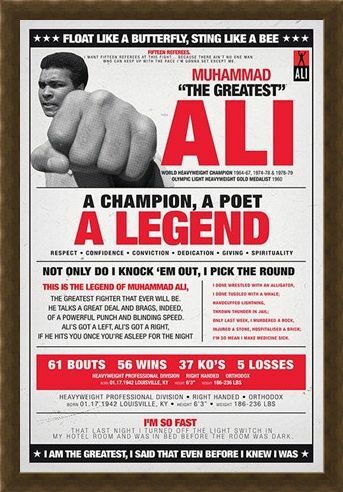 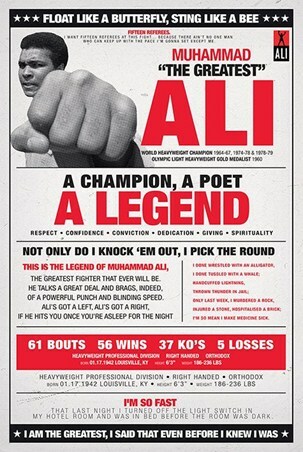 Celebrity Maxi Poster: Known as a champion, a poet and a legend, Muhammad Ali is one of the biggest names in sporting history. 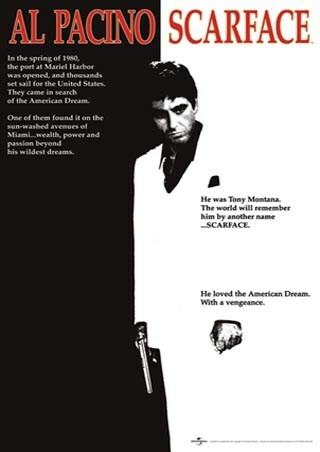 If you are looking for the perfect way to celebrate the boxer's life then why not hang this vibrant poster on your wall. Featuring a black and white image of Ali as he throws a punch surrounded by some of his most iconic quotes and sporting achievements. 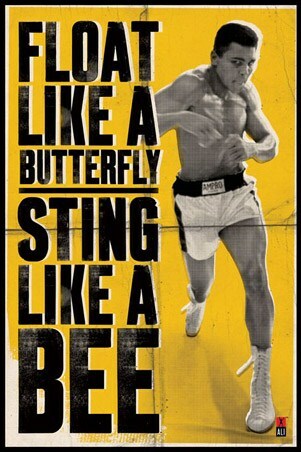 Including 'Float like a butterfly, sting like a bee' and 'I am the greatest', this poster is packed with self-belief and determination that is sure to pack a punch. High quality, framed A Champion, A Poet, A Legend, Muhammad Ali poster with a bespoke frame by our custom framing service.